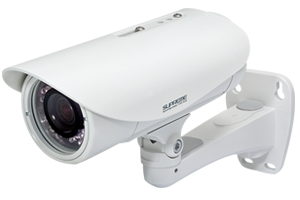 Utilizing state-of-the-art IP Network Security Cameras, users can build a completely scalable, high performance wired or wireless IP Surveillance System. The system can effectively monitor and protect your family and valuable assets. Keep your business safe with a complete, cost-effective, easy-to-use security and surveillance solution. With security cameras, software and a network, you can monitor your whole premises with a flexible security system. So, whether it’s for a shop, farm, office or other small business, our end-to-end security solution is designed to keep it safe. And give you extra peace of mind. With the installation of a networked surveillance system, you can locally or remotely monitor the safety and security of people and property anywhere, anytime. Networked surveillance makes it possible to send live images and audio for remote monitoring, learning, troubleshooting, web broadcasting, and any other activity requiring a remote presence. Add the ability to view your security cameras from any smartphone with free apps for Apple IOS and Android. Advanced codec technology allows you to easily view, control, and manage all networked security cameras using any standard web browser or our surveillance management software from any networked computer. Multiple authorized parties can simultaneously view real-time footage anytime, anywhere from the same security camera through web browsers. Network access allows for deployment of wireless security cameras, eliminating the cost of expensive land lines, as well as allowing cameras to be placed.